USA – Californie - Tobacco smoking was part of the Native American culture in the southern Pacific Northwest Coast in AD 860, which is soon after the first recorded plank house villages, say researchers in the US. Shannon Tushingham and colleagues from UC Davis analysed the residues from a complete stone pipe and 15 pipe fragments from two villages in northwestern California, as they described in Journal of Archaeological Science. A GC/MS analysis of the residues revealed many different compounds, including nicotine which is a marker of tobacco use. Nicotine was found in six of the artifacts, four being excavated from the floor of a men's plank sweathouse dated 1850-1890, which confirms ethnohistoric use of tobacco. The remaining two positive fragments were dated from their sorroundings to AD 1230 and AD 860. The Pacific Northwest Coast is an area in which "the antiquity of tobacco smoking was, until now, completely unknown." Now, it has been proven to be "part of the plank house dwelling Athabascan culture in the southern Pacific Northwest Coast very early in time." EGYPTE – Louxor - Egypt's Antiquities Minister says Italian archaeologists have unearthed tombs over 3000 years old in the ancient city of Luxor. Mohammed Ibrahim says the discovery was made beneath the mortuary temple of King Amenhotep II, seventh Pharaoh of the 18th dynasty who reigned from 1427 to 1401 B.C. The temple is located on the western bank of the Nile. Ibrahim says remains of wooden sarcophaguses and human bones were found inside the tombs. Mansour Barek, head of Luxor antiquities, says jars used to preserve the liver, lungs, stomach and intestines of the deceased were found. They were decorated with images of the four sons of the god Horus—figures seen as essential by ancient Egyptians to help the soul of the deceased find its way to heaven. (The Associated Press). CHILI - Archaeologists, environmentalists and the National Monuments Council are battling the Dakar Rally, an annual off-road race, in northern Chile, an area with a rich archaeological and natural heritage that has already lost dozens of sites key to understanding Chilean and South American prehistory. The rally begins in Chile on Wednesday. Official figures say that the past four rallies in South America have destroyed more than 200 archaeological sites in the country’s north. At risk in many cases are geoglyphs – figures on hillsides and plains – that are being studied by scientists, as well as paths called the Inca Trail, residential remains, lithic workshops and cattle trails. “Large pieces that articulate our understanding of prehistory are disappearing, and every time one of these sites is destroyed, it is a book that is burnt,” archaeologist Paola Gonzalez told IPS. “In Chile we have just 500 years of Western history documented by chronicled or written accounts, but there are another 20,000 years that are understood by studying these remains,” she noted. “Due to climatic conditions, the Chilean desert is a privileged place for the conservation of these archaeological remains,” she added, calling the destruction produced by Dakar “tremendous”. In this southern country, under the Archaeological Monument category of the National Monuments Law, 17,288 archaeological and paleontological sites in the country are under state ownership. The destruction of monuments is an offence under Chilean law and carries penalties of imprisonment, fines and administrative sanctions for public officials who facilitate their destruction. 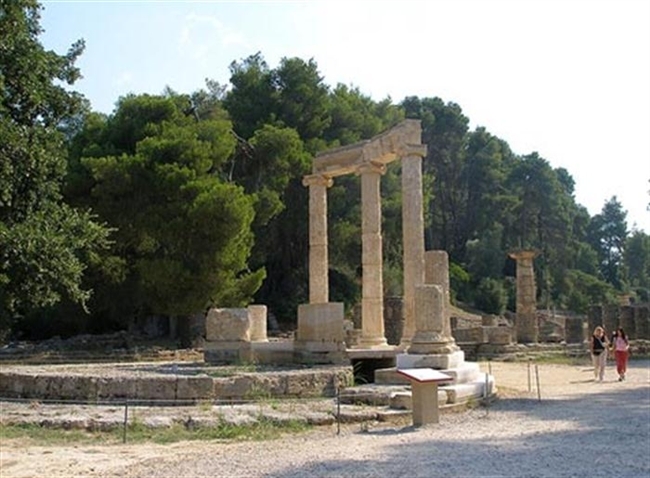 GRECE – Olympie - Ancient Olympia, the sanctuary of ancient Greece in Elis, global symbol and sacred location of the Games in ancient Greece, will get a face-lifting in some parts because of excavations and reconfiguring, according to the Central Archaeological Council (KAS.) The changes also have to do with adopting proposals for studies in the area. One project adopted unanimously by the members of KAS includes three parts: the processing of Eastern Arcade of the Gymnasium (rectangle building with an internal courtyard and arcades in the four sides), which includes the siting of a new entrance and service facilities for visitors), the retaining wall of the Treasuries and the retaining of the excavation slopes at the altar of Demeter Chamyne, developing the monument. In the northwestern part of the Sanctuary, next to the riverbed of Kladeos river, there is the Ancient Gymnasium of Olympia. In this area, a traffic calming road for pedestrians and bicycles will be constructed. The entrance to the archaeological site is also expected to be sited easternly of its current location, officials said, adding that the changes aim at opening this ancient location and lightening the space of the existing buildings.